Start for Free with ShortStack! Do you have your game plan ready for the busiest selling season of the year? If not, no worries. We’re here to help. 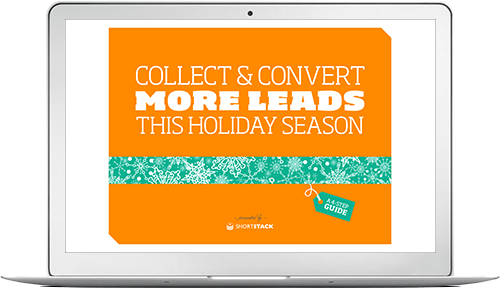 Download our 2014 Holiday eBook! You might prefer to read this eBook on a bigger screen :) Enter your email address and we'll send it to you. In this four-part eBook, we’ve included exactly what you need to get inspired and start building social media marketing Campaigns your fans will love this holiday season. When you build Campaigns your fans love, the rest (engagement, leads, sales, traffic, etc.) will follow. Join Our Holiday Marketing Forum! Do you have holiday marketing questions? A dilemma that needs solving? Or just need to ping your ideas off of a fellow marketer or business owner? Join our holiday marketing forum! This is where members of the ShortStack crew will be answering your holiday questions all season long.